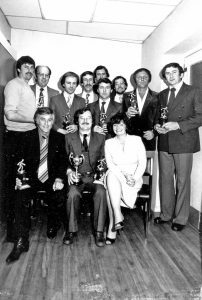 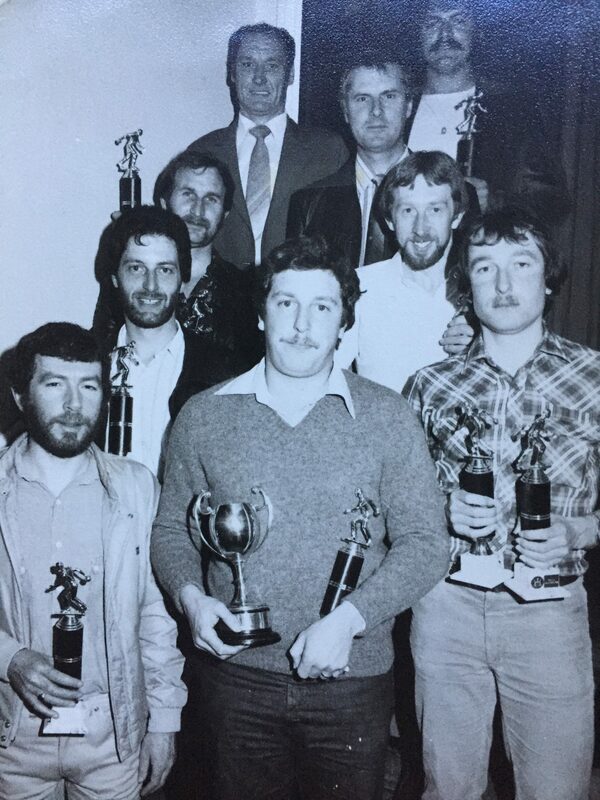 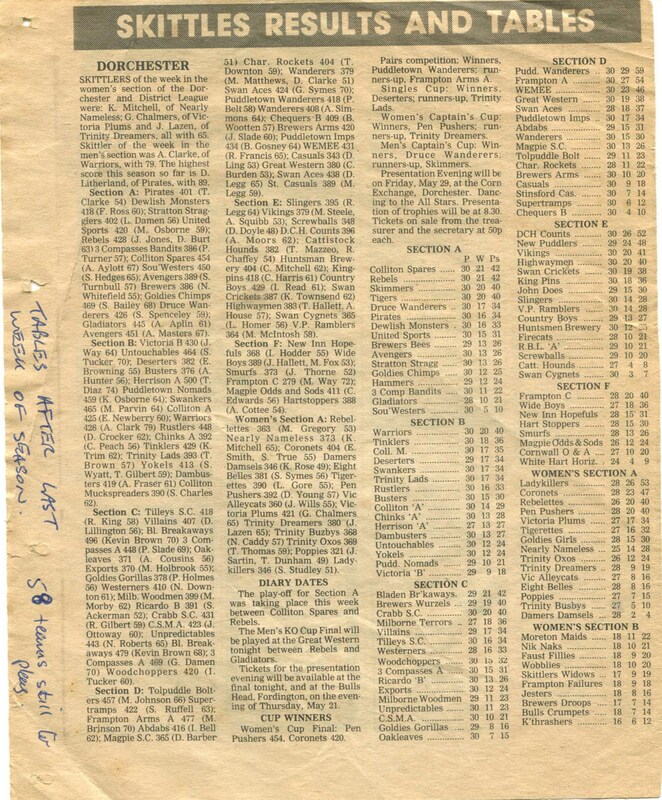 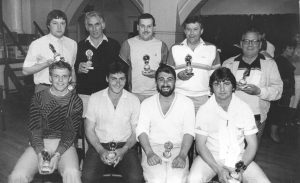 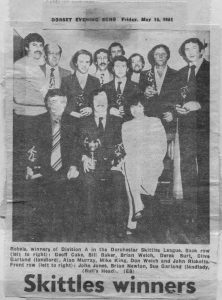 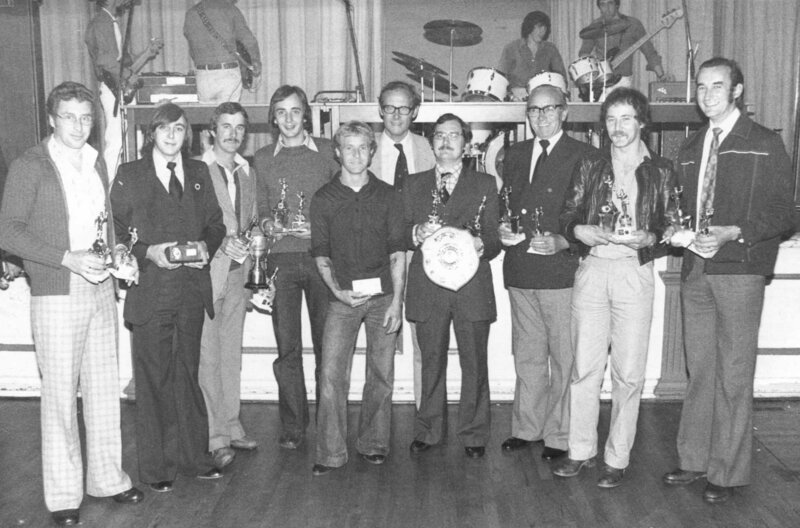 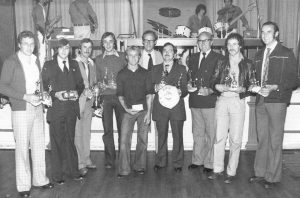 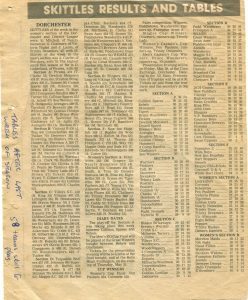 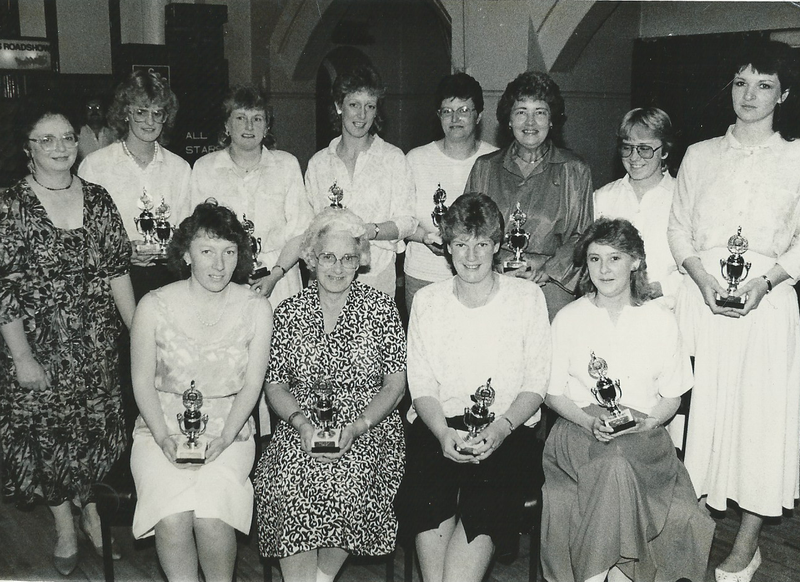 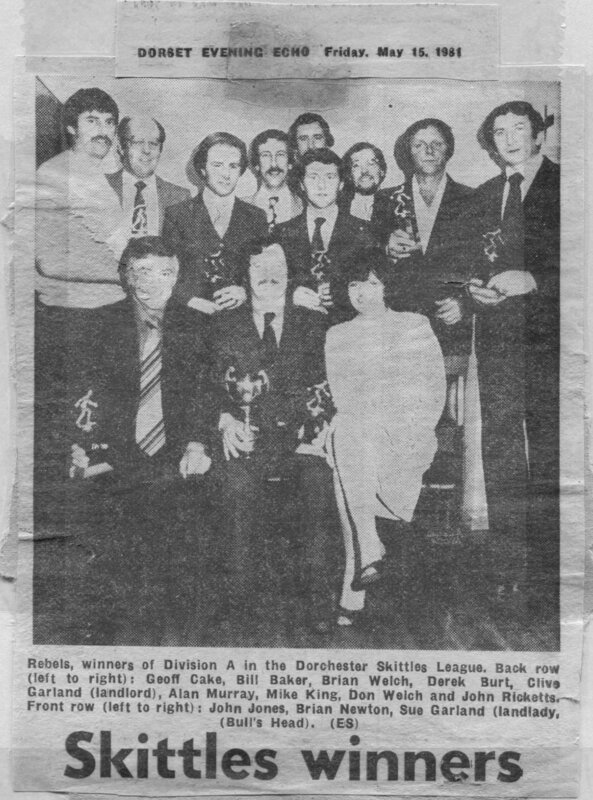 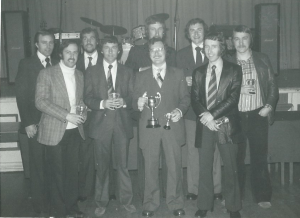 Rebels Section A champions 79-80 Brian Welch, Frank Brown, Mike King, Alan Murray, Derek Burt, Brian Newton, John Ricketts, Brian Gundry, Nick Barber. 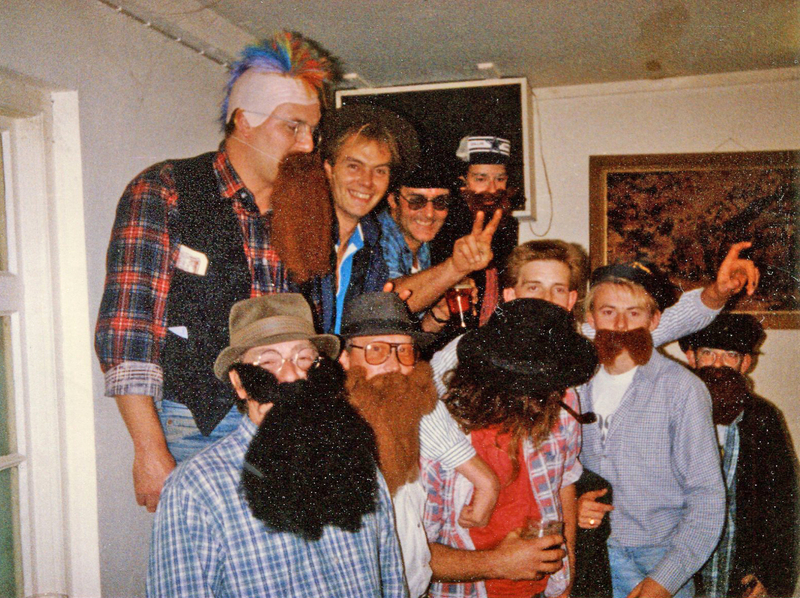 Supertramps – Rob Orr’s stagnight in 1989. Rob had two floppers in the match. Back Row (from left): Tad Clothier, Weed Ruffell, Cluck Clothier, Andy Baker. 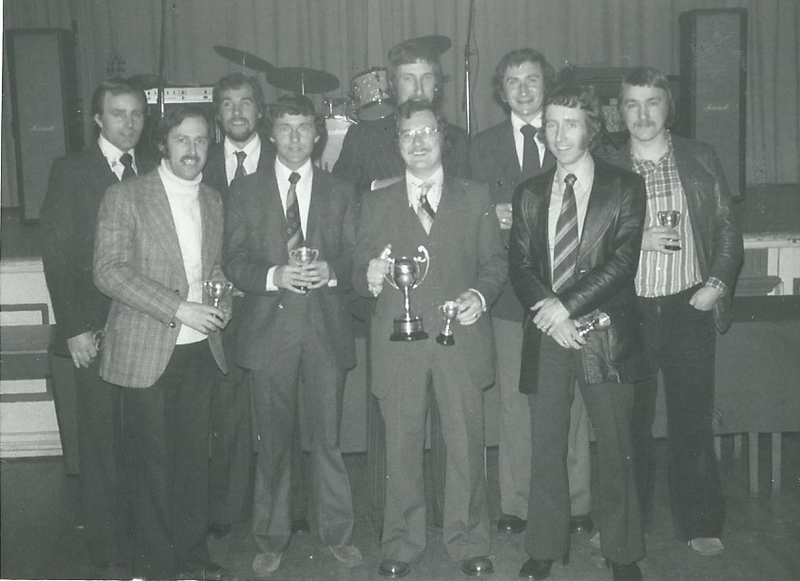 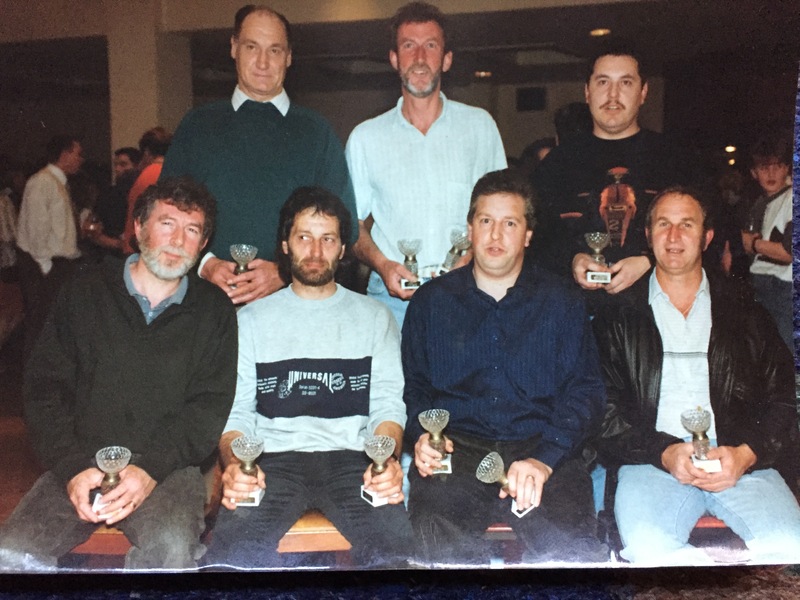 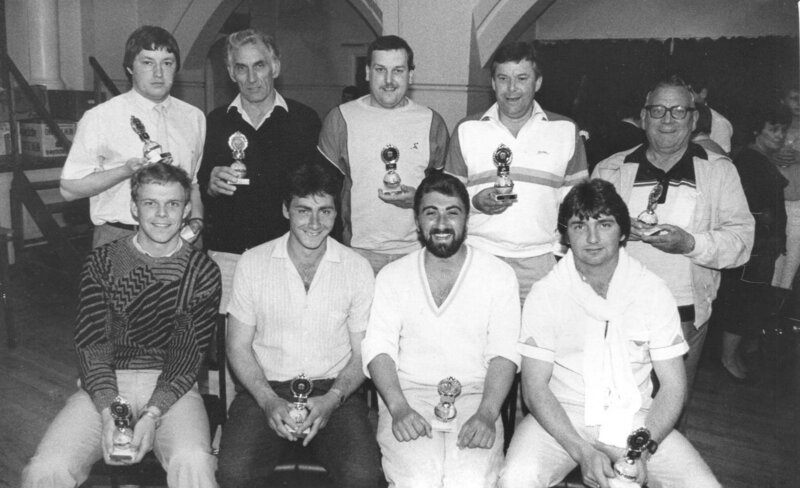 Front Row (from left): Tony Britton, Steve Winspear, Ron (Jesus) Orr, Nick Ruffell, Phil Slemon, Stu Baker.